My support for Israel started in 1995. It was not easy at first. My state of mind was still different then, I used to hate America and its allied countries, Israel and the Philippines, the country where I lived. I often heard preachers about “loving and offer blessings to Israel”, so I made an effort to follow the word in the Bible, in Genesis 12:3, which says “I’ll bless those who bless you; those who curse you I’ll curse.” The “you” refers to Israel. 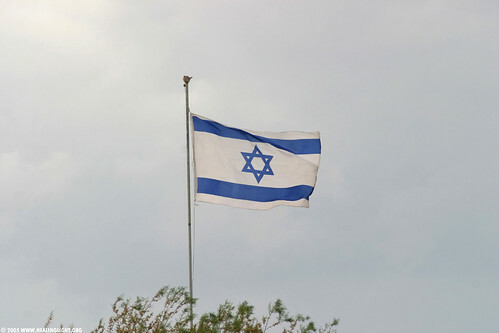 Recently, Israel is in a political crisis. The Palestinians wanted to have a state inside Israel. Yes, a state within a state. It will put the Israelis in danger. Join with me in prayer and offering blessings in word or deed for Israel. …Let Us Stand with Israel….by Nena Benigno Kol Adonai Foundation and Lawrence San Diego CBN Asia..This September the Palestinian Authority will submit its bid at the United Nations General Assembly to establish a Palestinian State inside the nation of Israel within the lands retaken by the Jews after the Six-Day War of 1967…These lands are the very spiritual heart of Israel East Jerusalem site of the Holy Temple Western Wall Mount of Olives Via Dolorosa Calvary Gethsemane and other sites held sacred by Jews and Christians all over the world. . ….The resolution to create a Palestinian State inside Israel s 1967 borders poses a clear and credible threat to the security and sovereignty of the only democratic nation in the Middle East and the roots of Christian faith…The Bible poses a spiritual law that is true even for our times.